I am plagued by dark circles. Dark circles of the purple/blue, almost translucent skin under my eyes type. The type that make me look shattered despite having 10 hours of sleep and I’m well aware that it is a distinctly ageing trait. Me and my under eye circles have been at war for years. A few years ago, I discovered the best ally I had in Bobbi Brown’s eye corrector, which has pink tones to counteract the purpley/blue. Ahhh the love I felt for that corrector. This was one of my main worries when switching to more natural make up, how will I leave my beloved corrector behind? Everyone will realise what I look like without it. Will I have to embrace my zombie eyes? I love The Walking Dead as much as the next girl, doesn’t mean I aspire to look like ’em. 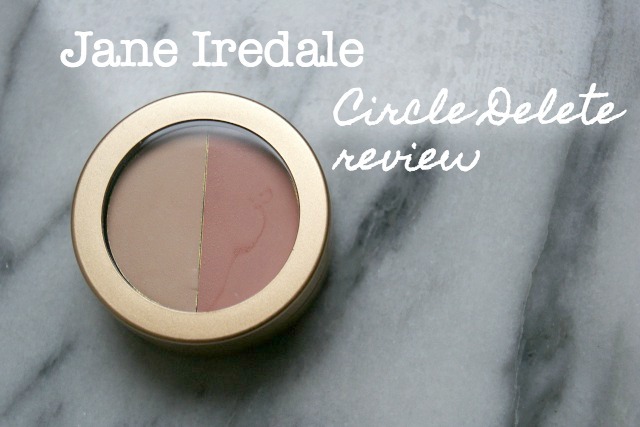 Enter, Jane Iredale Circle Delete. Check out that peachiness!! 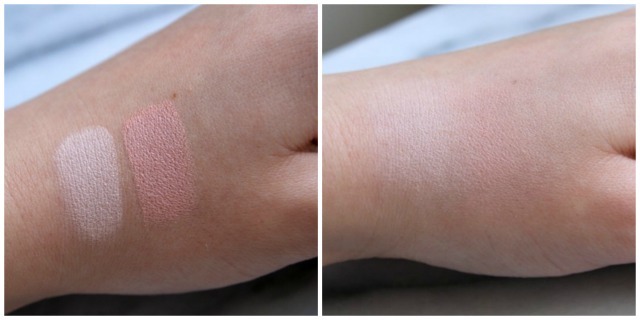 I have this is shade 2, which is half pinky/peachy toned and half pale concealer. 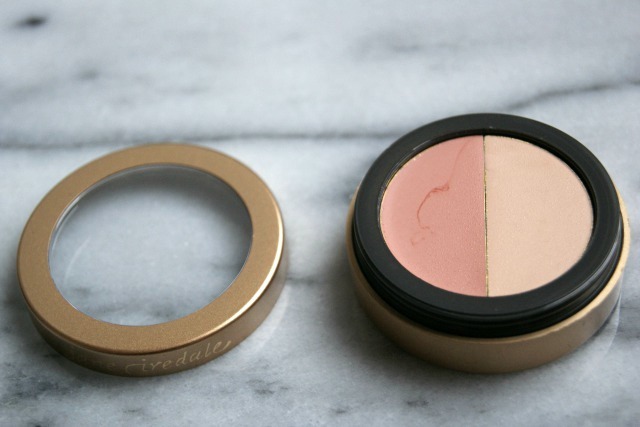 The instructions say you should blend the two to your ideal shade, but I apply the peach shade directly to where I need it most, then use the pale shade to brighten the upside down triangle down to the corner of my nose. It can also be used to highlight areas like your cupids bow. If you’ve ever tried the Bobbi Brown corrector, you’ll notice that the consistency of the pinky/peach shade is very similar, which is a blendable, almost dewy texture that sets to a reliable, non creasing base for your concealer (if you still need to use it). 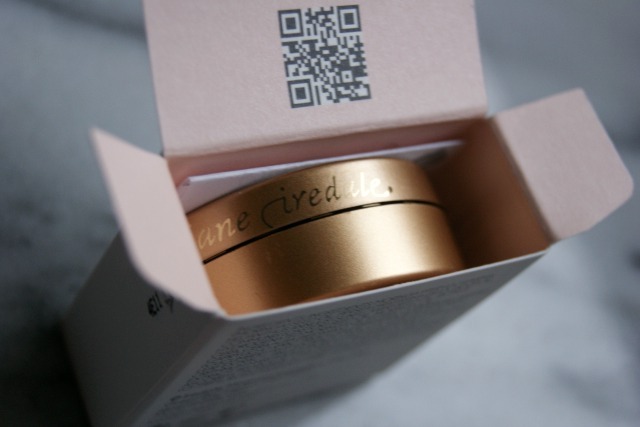 It contains moringa butter and avocado oil which give it an ever so creamy texture and which condition the skin. Zombie eyes be gone, this has officially done the job of filling the gap that Bobbi Brown left behind. I’m using the peach shade daily, which does a perfectly good job by itself. I’ll then blend the paler shade in on days where I have a little more time and want to look extra lively. As always, I really appreciate your comments and would love to know what concealers you rate. « Does blogging make me happier?